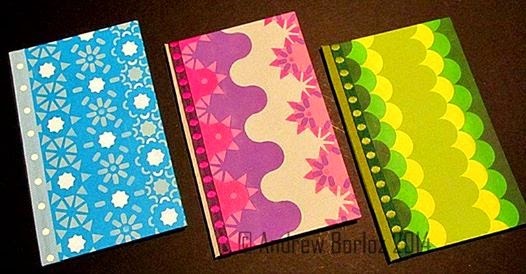 Do you see these incredible handmade books that Andrew Borloz made with the September StencilClub stencils that he designed??? One lucky member in StencilClub will get these from Andrew. It is one of the many benefits we have in the club. Every month the designing artist gives away a piece of artwork to a member picked at random. You can see all the benefits of the club HERE. 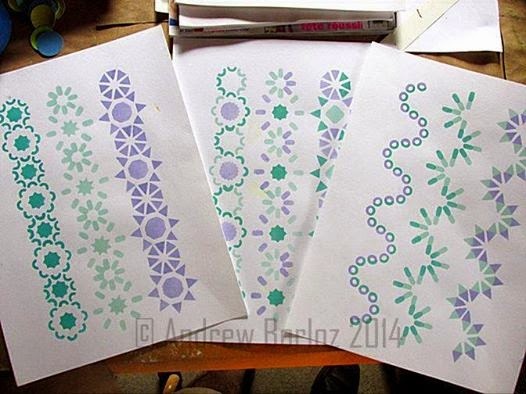 Andrew has been making samples like CRAZY with these stencils! When we tell you that 3 little stencils can make more designs than we can count we ARE NOT kidding!!! Not only that, but we have done something a little different this month for our members. 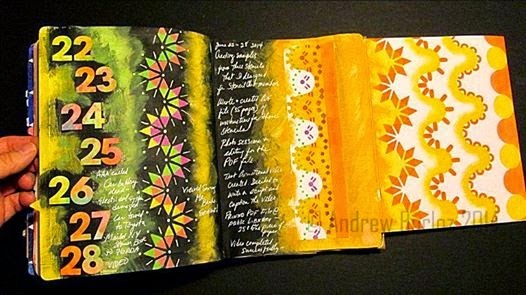 They will be getting a 35+ page PDF that Andrew has made showing you step-by-step how to make these designs. We think when you get these stencils in your hands and start playing with them along with the PDF you will be in awe of what they can do!!! Don't belong to the club?? We would LOVE for you to join our family of StencilClub members! Find all the information and sign-up today HERE. 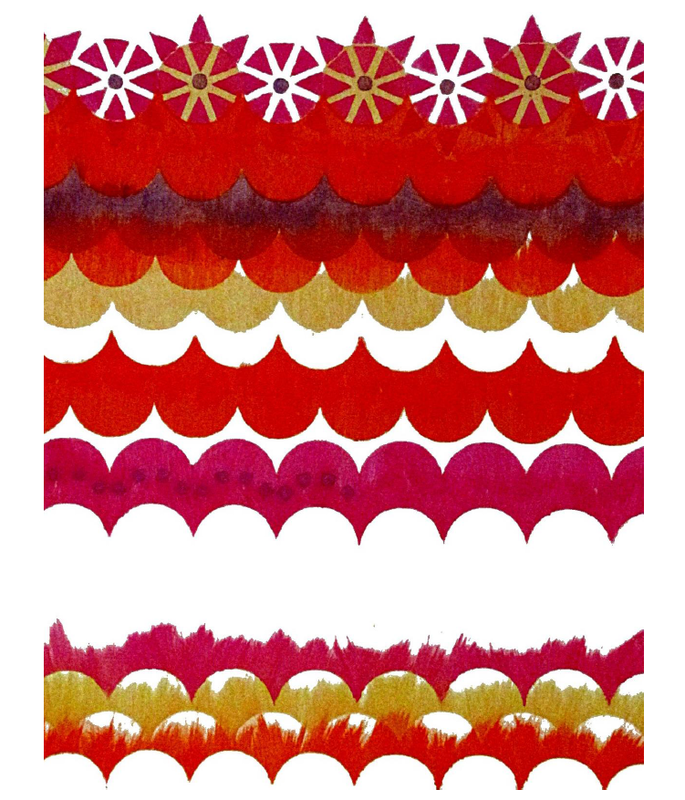 I just love all the possibilities with these stencils. Andrew hit it out of the park! Love the red example for Christmas cards! This artwork is BEAUTIFUL -- what great stencils!